Oxford Genetics has an impressive array of adeno-associated viral technologies lead by our industry leading AAV team. They have a variety of off-the-shelf solutions and licensable technologies that are ready to meet your manufacturing requirements. 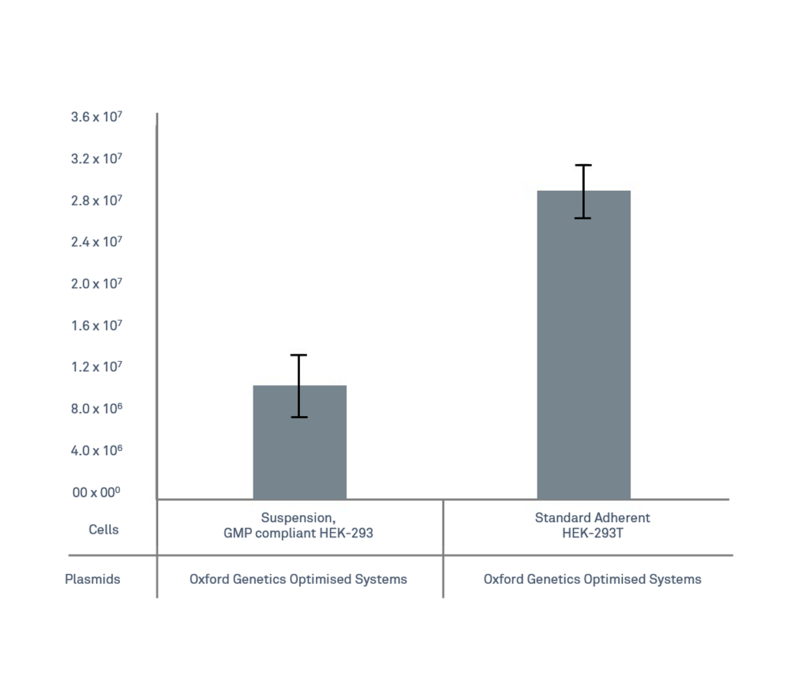 If you’re interested in High Titer Suspension Transient AAV Manufacturing System, Contamination Free Adenovirus Based AAV Production System, HEK-293 GMP Qualified Master Cell Bank for AAV Manufacture or Inducible AAV and Packaging Cell Lines then discover the benefits of choosing Oxford Genetics. Our lentiviral team are experienced in delivering leading lentiviral technologies that are ready for GMP use and are proven to deliver higher yields than any other competing systems. If you’re looking for High Titer Suspension and Adherent Lentiviral Manufacturing Systems, Manufacture Ready Lentiviral Packaging Cell Lines or High Titer Plasmid Systems then discover the benefits of choosing Oxford Genetics. If it’s adenoviral solutions and technologies that you are looking for then why not talk to our adenoviral team. Our team offer High Titre GMP Ready Adenoviral Manufacturing System, GMP Solution for Toxic Transgenes - HEK-293TetR, Adenovirus Type 5 Plasmid Systems and Complete Removal of Adenovirus Contamination from AAV Manufacturing. Discover the benefits of choosing Oxford Genetics. Oxford Genetics works in the global pharma space to generate improved vaccine expression systems for vaccine development, including for Influenza, Dengue and Zika expression. Look at our vaccine technologies and discover the benefits of choosing Oxford Genetics.